Family Man Lockworks is a Calgary based locksmith offering mobile services to Calgary and surrounding areas (within approx. 50 km outside Calgary). To get a free estimate, call Family Man Lockworks Ltd at 403-404-LOCK (5625) today! 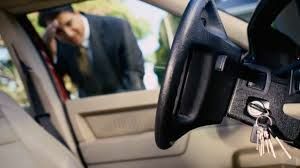 Family Man Lockworks offers mobile locksmith services to Calgary and surrounding areas (within approx. 50 km). We bring a mobile debit machine to accept VISA, MasterCard and Interact payments at your location. Family Man Lockworks Ltd offers an all inclusive flat rate for lockouts (includes service call out charge AND labour). We have an A+ Rating on the Better Business Bureau. We are licenced by the Alberta Justice and Solicitor General's office in Alberta, fully insured and bonded and a member of the P.L.A.A. (Professional Locksmiths Association of Alberta). We are also covered by WCB in Alberta. Unfortunately, at this time, we do not have the equipment to cut a new car key or program vehicle keys. However we can unlock vehicles to retrieve the keys from inside. 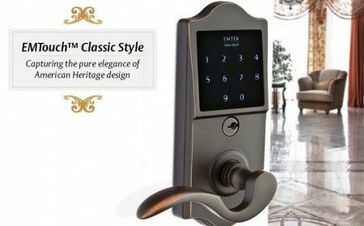 Professional installations of various styles of residential and commercial keyless entry locks. In Alberta, all Locksmiths are required to be licensed under the Security Services and Investigators Act. This licence is required to be carried by the Locksmith AT ALL TIMES WHILE ON DUTY. Section 5(1) of the Act states :" No person may, without a licence to do so, for remuneration, make, install, maintain, repair, code, recode, rekey or repin locking devices". For additional information on the Security Services and Investigators Act, including how to check for legitimate licensed businesses (under business query to the left of their site), click this link: Alberta Justice Security Programs. We are a proud member of the P.L.A.A. the Professional Locksmiths Association of Alberta. Family Man Lockworks Ltd is covered by WCB. WCB-Alberta Clearance Letter to do work onsite is available to commercial businesses upon request.